Linda has been involved in the interior design profession since 1970, specializing in residential design. 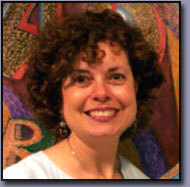 A professional member of ASID since 1978 she is a past winner of the "Designer of Distinction" award. Service is one of Linda's top priorities, both to her clients and her community. She has been a member of the Troy Chamber of Commerce since 1994. As as active member of the Best of Troy committee for many years, she understands and appreciates the importance of good design as good business in the public eye. Linda is currently the chairperson of the Image and Arts Council of Troy (I/ACT), whose goal is to enhance Troy's image through arts, culture and urban design. .